The Finance Department is the collection point for most financial transactions in the County. We interface with all county departments, agencies, employees, and vendors. Our objective is to deal with all our customers on a professional basis, while complying with all laws and maintaining the integrity and auditability of the County's accounting system in accordance with Generally Accepted Accounting Principles, as required by WS 16-4-120(a). County Commissioners must approve a balanced budget within 24 hours of the budget hearing. 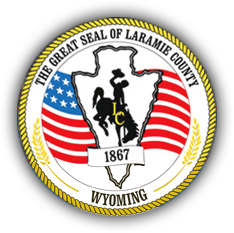 Financial records, including original invoices and supporting documents, are available for public inspection in the Laramie County Finance Office. We prefer appointments; however, you may drop in at 310 West 20th St., Ste 1700, Cheyenne, WY 82001, Monday – Friday, 8:00 a.m. to 5:00 p.m. For an appointment call (307) 633-4284. Computer printouts and photocopies are available for a standard fee per page.